From a first class local team of Gas Safe registered heating specialists and plumbing experts that work to the highest standards. Please complete the fields below and we will contact you to arrange a meeting. UK Boiler Care provides tailored managed services to letting agents that wish to intensify their focus on letting properties and winning new client business. Our managed services range from off the shelf Landlord Cover Plans, that can be marketed by an agency to their client landlords on an individual basis, all the way through to bespoke solutions designed as an integral component of an agency Property Management service. A predictable annual cost for the maintenance and repair of both boilers and central heating systems in rental properties. A single point of contact available 24/7 all-year-round which, depending on preference, can be used by the agency, landlord or tenant. Contact is directly with our engineers, not a call centre. A fast and efficient response to all Call Outs, plus an around the clock emergency service that aims to be at the property within 2 hours. Smart and courteous Gas Safe registered company employed engineers that can be relied upon to uphold agency standards of performance and customer service. We do not use subcontractors. Our emergency telephone lines are managed 24hrs a day, 7 days a week, 365 days a year by our own team in the UK. If a landlord wishes, tenants can contact us directly. 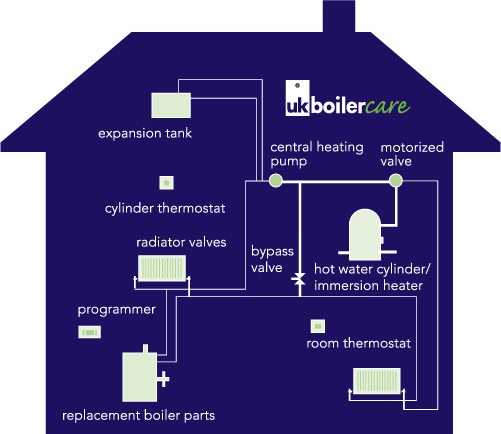 In the event of a Boiler or Heating system breakdown, we aim to attend your property within 2 hours of your tenant's call. 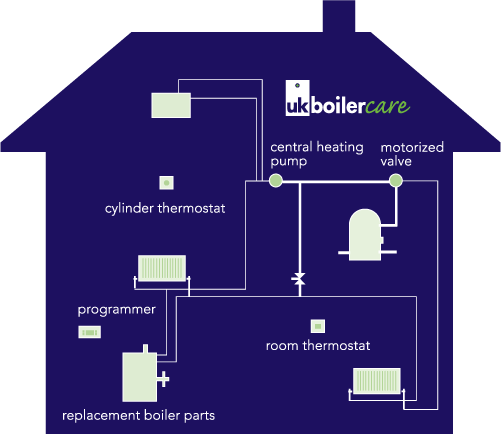 UK Boiler Care has an excellent track record of working alongside letting agents. We provide the full range of our services to leading firms in the Eastern Counties. Our clients range from single branch family firms through to top national agencies. We also specialise in providing tailored professional managed service solutions for letting agents who wish to offer boiler and central heating maintenance plans to their landlord clients. Our services help letting agents win new business, retain existing clients, reduce office overheads and maintain compliance with the law at all times.